I finally joined the club! 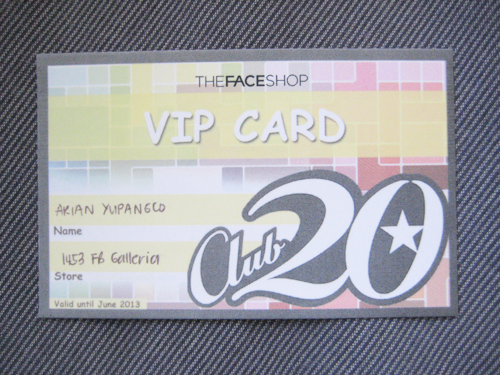 The Face Shop's Club 20 that is. Yes, I got my VIP card just the other day at Robinson's Galleria which is conveniently located just across from my school. I can't wait to try these out, perhaps after a couple of weeks or so, and hopefully be able post up some quick reviews on all of them! 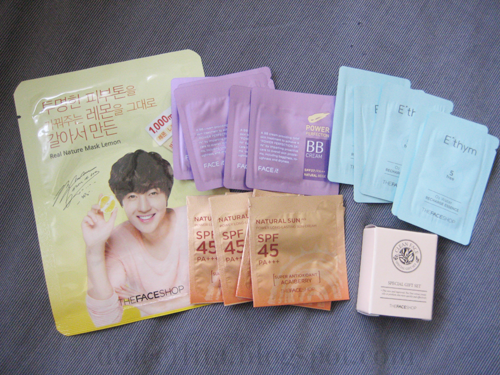 I rarely use sun cream since I always just bring an umbrella with me, but I will definitely try it out + the BB cream which I've been really curious about since they said it'll suit my combination skin while providing good coverage, which I love.